Sight Word Flip It was carefully designed by Steve and Katie, two reading specialists who have taught 100s of kids to read. Not many literacy apps can make this claim! Sight Word Flip It offers an effective and engaging way for kids to learn high frequency sight words. Available now in the iTunes store. Learn more below. This app works and stands alone because of the way it is organized and designed. 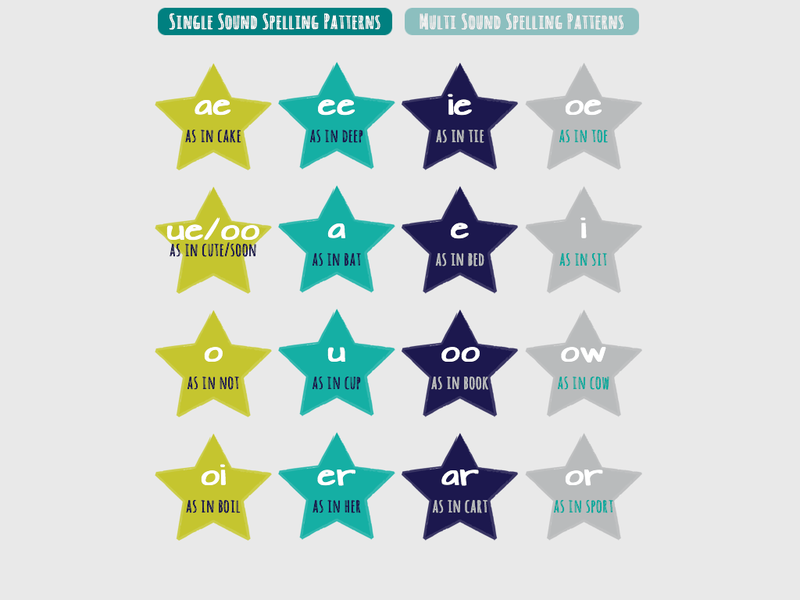 Word lists have been carefully chosen and organized by vowel sound allowing kids to practice difficult spelling patterns for all 16 vowel sounds in a controlled and systematic way. Our graphics are kid friendly but not overly distracting and simple enough for their little fingers to use. 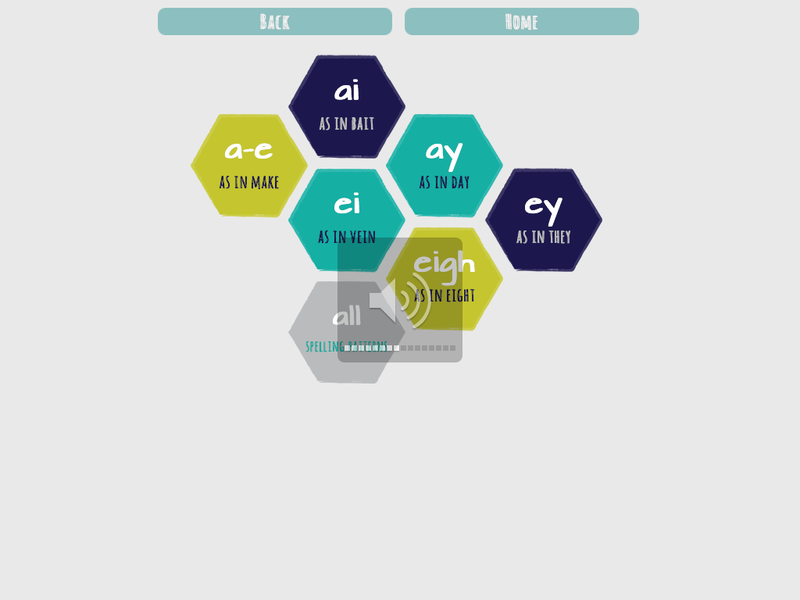 kids, teachers and parents can then choose to practice one spelling pattern or all the spelling patterns for a chosen sound (see screenshot with the hexagons). Once the spelling patterns are selected, sight words are then presented on a fun, digital flashcard (see flashcard below). The flash card features four distinct cueing methods to help children read: Flip It, Bold It, Say It, Check It. The "Flip It" & "Bold It" features allow kids to isolate, see and hear the important vowel patterns. The "Say It" and "Check It" buttons provide important feedback and self correction. These cueing features along with the organized lists of words combine to create one VERY powerful teaching tool that kids can use independently. No more random word lists for strict memorization! Build reading the right way, the researched based way, and let Sight Word Flip It help. To get a better feel for this app, check out our screenshots and the reviews we've received from teachers and parents. 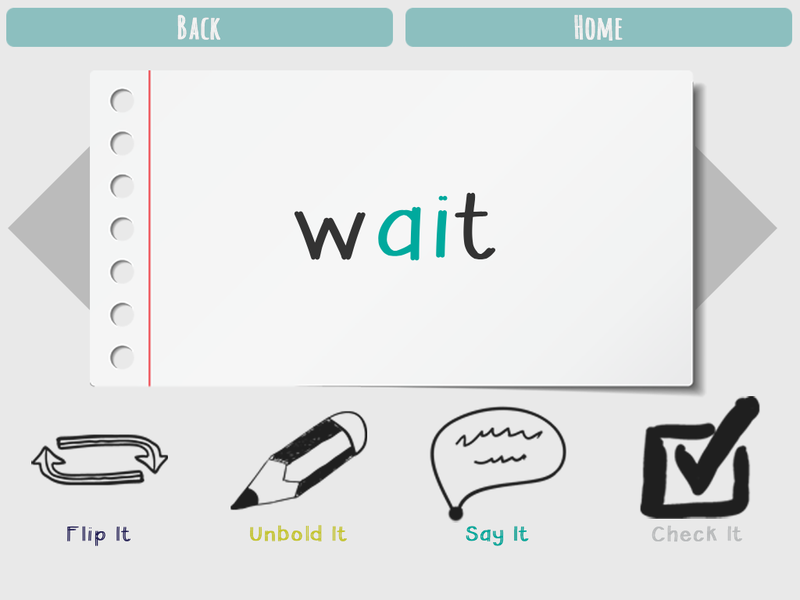 Sight Word Flip It works great on both iPhone and iPad. We do prefer the iPad version simply because of the larger screen space for the landing page (Stars Page). 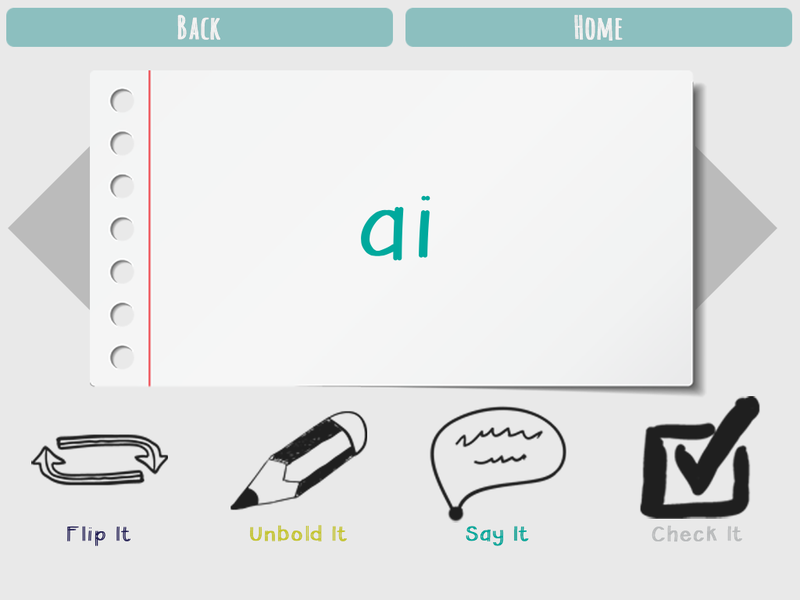 The flashcard page is fantastic on both devices so feel confident in using either version. We love this app and use it daily with our very own students. You should try it at home or school. We know it will help your kids because it has helped so many of ours!